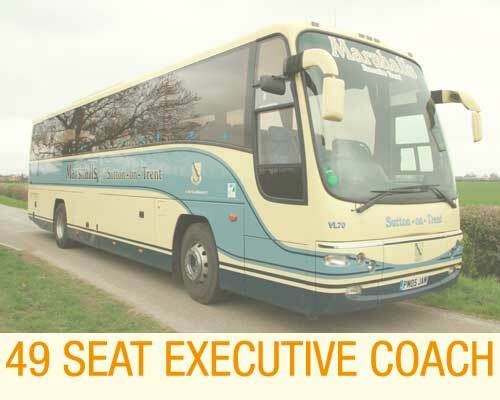 Established in 1989, we are now recognised as one of the leading coach and bus operators in the East Midlands. We have held the prestigious CoachMarque accreditation since 2009. This is a select group of around 50 operators in the UK who subscribe to regular audits to ensure compliance and quality. In early 2018, after completing our audit with a 100% pass, we are proud to have been accepted as a member of The Guild of British Coach Operators. This means further assurances of quality and safety for our customers. Located on the Nottinghamshire and Lincolnshire border, next to the A1, we have excellent road links to all parts of the UK. We specialise in Private Hire, School Trips, Day Excursions within our local area, the UK and Europe. Please contact us to arrange a quotation or for advice on excursions. All of our vehicles are maintained to the highest standards by our qualified engineers on site, who hold the highest OCRS score with DVSA. All front line coaches are LEZ (Low Emission Zone) compliant for entry into London and other major European cities. Coaches also have air conditioning for your comfort. Executive coaches have a host of other luxury features for your added journeying pleasure. 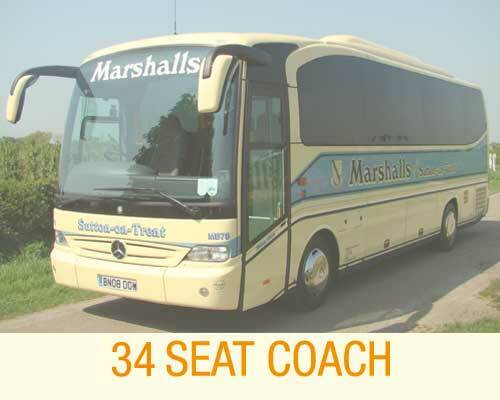 We have coaches from 25 to 53 seats and double deck buses with 82 seats – all with seatbelts. All buses and coaches are cleaned and serviced regularly to a high standard to ensure your comfort and safety. Marshalls of Sutton on Trent currently holds a International licence. "Perfect. Very smooth and comfortable from beginning to end. Jon and Ben were helpful in every way and looked after us exceptionally well. Top class service from beginning to end - many thanks!" "Thank You for taking such good care of our students, lovely clean coach, helpful driver and smooth journey. The office staff were brilliant at getting our booking in place and working out timings." "Fab service, will def use again." "Returned from a 5 day trip to Isle of Wight on 29th March and would just like to say what an excellant service we received from your company, made all the more enjoyable by 'Mick' the driver who went out of his way to make sure everyone was looked after and kept happy - many thanks"
"The journey to and from Torquay was quite long but the driver Mick was marvellous. He was both professional, helpful and sociable, and a model of how coach drivers should be. He kept his coach immaculate throughout the tours we took while in the Southwest." "Excellent service from staff and driver. Arrived promptly, dealt with all the timings of our day really well. We booked the coach for NEWARK Town Band to travel to Kenilworth. They were very good and we will definitely use them again v"
"Mick was fantastic as always. Marshalls are very accommodating, will always recommend others to use too. The coach was clean and extremely comfortable." "Many thanks for a very good holiday to warner lake side village the coach was top class and the driver Jamie was very good. thanks once again Pete Jennison"
"Excellent communication . Invoice issued with telephone contacts to use on the day if problems . Very comfortable clean coach with seat belts . Smart efficient driver . Very friendly service . Would definitely use again"
"We have just been to Mill Rythe on hayling island with GB TOURS In one of your coaches, your coach was very comfortable, the driver who's name is SAM was excellent very helpful, and also knowledgeable of the trips he took us on, all in all everything was perfect. 10 out of 10 for SAM AND MARSHALLS"